This easy DIY snowman wreath tutorial was submitted by Peggy Bond. Don’t forget to watch her two videos at the end of this post for more details. You can also follow Grillo Designs on Instagram keep up with our latest posts and ideas. This post contains affiliate links for your convenience – please see full disclosure here. .Click highlighted links to shop sources! I painted the eyes first so that they could dry. I drew a carrot out of felt, sewed together and then stuffed. I then set this aside. I took 2 wreath forms and put the smaller one inside the larger one then zip tied on 4 sides so they were tight. I started and went around in a circle on out side first then worked my way in. I attached face and hat with hot glue gun. I’m sorry but I drew the mouth and cut it out, without using a pattern. You can decorate the hat any way you want and attach with glue. Follow Grillo Designs’s board Grillo-designs.com on Pinterest. See below for video tutorial! This is part one. 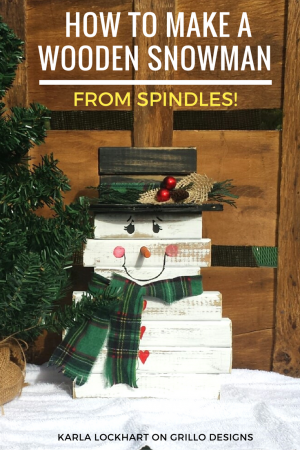 OR THIS POST ON CREATIVE WAYS TO MAKE A SNOWMAN! Hi Peggy, this is awesome. I was watching part 1 and it ended as you were tying the mesh with a pipe cleaner. The 2nd part begins with you decorating the completed wreath. 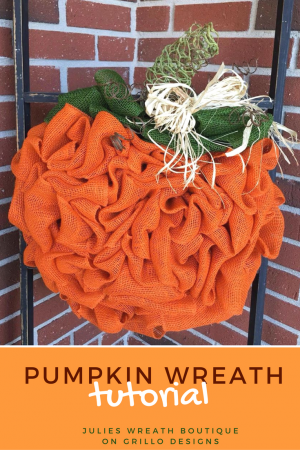 How did you attach the mesh to the wreath form ? Do you have another video or could you send me the instructions, please? I want to make this for my classroom door. Hi Peggy, Ready to make this lovely wreath however part one does not show how to place white “stuff”. Would you please email me? Thanks so much for sharing this beautiful wreath! 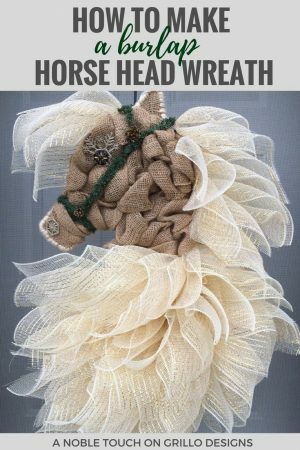 This is the cutest wreath. I bought everything to make it and am ready to start. I watched your video and it ended when you were cutting the mesh into 10″ squares. The 2nd part of your video picked up with you already done with the mesh and working on the hat. I didn’t see how you attached the mesh to the wire and where to begin. Can you please email it to me? I checked youtube and same thing. Thank you. Can’t wait to make this wreath. I can’t get the first video to show up and have been trying for over a week. Any suggestions? Thanks Peggy, I just finished making one for work. I found organza ribbon 6″ wide that were just a dollar so I used that , 3 rolls and it looks great. I just sewed on buttons for the eyes. I’m going to chase this up with peggy, sorry about this! On the snowman wreath made by Mrs. Peggy, is there anyway she can estimate how many “bows” for lack of a better word, was put on the outer ring of the form??? I think I’m trying to put too many because I almost finished with the first roll of mesh and had barely gotten finished with the second section. Is there a magical number per section??? Thanks so much for your help. Thanks so much for the video! I love the snowman and plan on making it. Peggy– I can’t seem to decide on what size hat you used for the snowman. Hobby Lobby has various sizes online as do other sites. Did you use craft foam or felt for the hat. What size did you use. About how many inches in total is the edge of the left side of brim to the edge of the right side of the brim? Did anyone ever find a template for the nose and mouth? Peggy Bond THANK YOU SO MUCH for sharing this wonderful and beautiful showman project. I have been looking for a year now for the supplies and finally have everything I need. I will be making it this year thanks to your kindness in showing us a video. Having a rough time with the shape of the nose and mouth and wish you had a pattern to share as at 80 I don’t think I will ever be a drawer. Guess I will make it work somehow. Do you have any other projects that you are willing to share. As I see that you said that you were giving lessons somewhere. I know some people are nasty and hurt your feelings.. . .but I for one appreciate your kindness and talent. Thank you so much for taking the time to do the video on the snowman wreath. It was very easy to follow. You made a hero out of me when I delivered one each to my two daughters. You made me and my family very happy. Thank you for sharing your snowman with us, I hope I can make mine look like yours! It was very helpful to me!! Thanks for the idea! Four of us made one this weekend. It took about 6 hours. Over two days. Phew! Came out very cute! Made them using 18 and 12 inch frames. Saw your video after I bought supplies. That may be why it took a little longer. Although cutting the mesh and twisting the pipe cleaners took a while as well. Peggy bond YOU ROCK!!!! 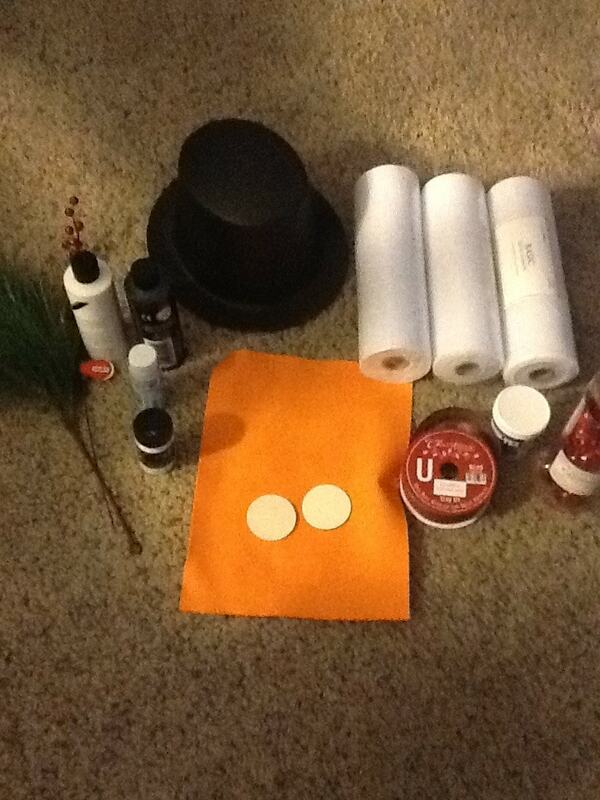 I just watched your video on the snowman wreath and can’t wait to make it! Thanks so much for making the video ……..so much easier to see it put together. Merry Christmas and look forward to seeing more projects. The snowman wreath is breathtakingly beautiful! Hi Peggy this snowman looked so great. So I just finished making one today. showing us how easy it is to make. Could someone please provide the measurements for the mouth and nose? Making one this week. How long is the mouth? Have an artist friend that would do much better than me but don’t know how big to make it…..thx! Just want to say THANK YOU…he is gorgeous…. Peggy great job!! Just love it!!! Zip ties can also be found at Hobby Lobby in the craft section by the doll houses. You now have one stop for everything! I enjoyed your tutorials , thank you for your time doing this for us. I hope to make one real soon. I made the snowman n turned out wonderful. Question…Did u cut out the mouth with sizzors? It’s real rough. or maybe that doesn’t really matter. I tryed a razor but that did make it a little smoother but dangerous. Any suggestions? Thick poster board can be lightly sanded on edges. Will smooth out. I also wanted to know what size the hat is. I can only fine 5 inch hats. This is turning out harder that I expected. Is there any possible way to have a copy of the mouth sent or posted to be printed out. I can not get the mouth correct. More info on the eyes! What did you use markers or paint pens?? What is the stuff Peggy used on the snowman hat / carrot that looks like snow? About how much does it cost to make a snowman wreath? Mary, I went to Hobby Lobby this evening and purchased 2 wreath forms, 1 piece of orange felt, pipe cleaners, and a foam hat. I purchased 21 inch deco mesh because they didn’t have 10 inch in the Christmas section and Christmas items were 40% off. I spent less than 25.00. I still have to get a few more things but I figured I’d make sure I did the other first, lol. Love your designs please keep them coming. These are all so wonderful, thank you for shairing! what size of wreaths did you use? Did you finish your wreath? Can you still see the green? Awesome tutorial, I just did the first ring tonight. Hope I can find a hat. Thank you for taking the time to do this. What are dimensions of completed snowman wreath please? Thank you so much for posting the videos for the snowman wreath! I finished one today and I’m in love! 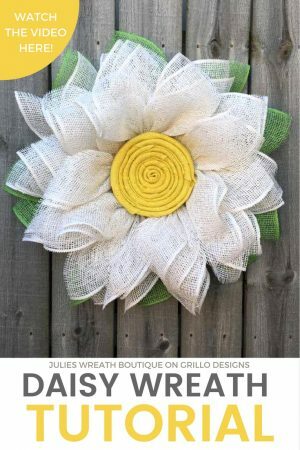 Peggy, I am so excited to get started making this adorable wreath! I loved the videos! I belong to an auxiliary that raises money to send kids that have been burned to a special camp, each campership is $750 and we send 3-4 kids every summer, so I will make them for the auction. Which size wood ovals did you use? There are so many. Thank you sooo much for this adorable project. I have signed up for your newsletter and can’t wait for them to be posted. Maybe there will be more projects to be made for the auction. Yesterday, 5 of us made this wreath. They came out awesome!!! Thank you for the instructions. 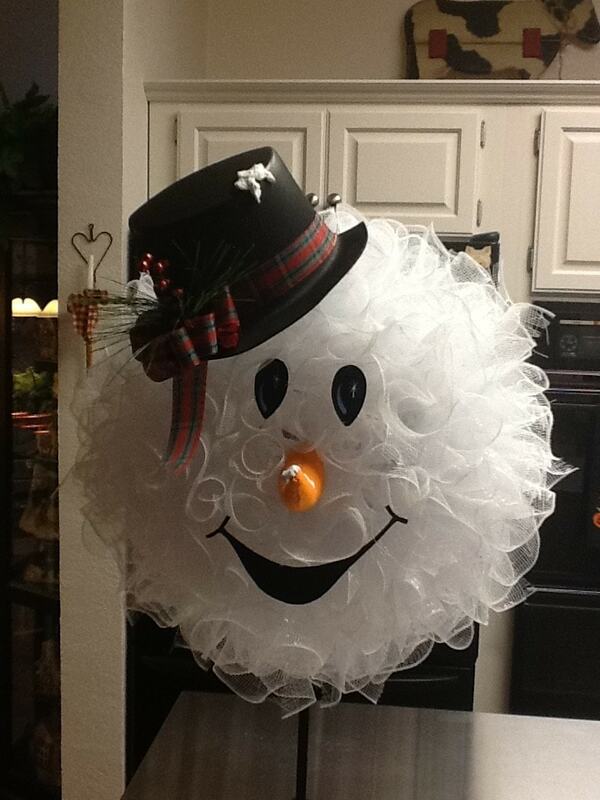 I just made this snowman…..got my mesh at Michaels…..35 feet on each roll & I did use all of the rolls. I found HUGE wiggily eyes at Michaels & used them. I found a black felt hat at Target in the $ section. I didn’t use a bow on the hat & it looks fine. I gloed the nose together & then stuffed it. I used 3 round circles cut from heavy card stock for the mouth….to look like coal I have used Aleene’s Super thick Tacky Glue in a jar for many projects & it worked fine for glueing the nose together. After I was done I put some LED (bright white….took the caps off) lights into the back. I really wish I could upload a picture….he looks so cool !. I love this. I wish I had seen this when I was doing my decor this year. My theme this year happens to be snowmen and snowflakes, but I will keep this for next year. Please, please tell me where to find the white deco mesh…we have checked everywhere. Unfortunately they are sold out everywhere. I found some at Walmart in the Christmas isle. 36 ft decorative fabric comes in 2 roll packs. I’m just starting on the wreath so I’ll have to see if this works the same. I started making this but not sure on how many you tie per section? Do you fill it tight from one point to the other then go to the next section etc. If so I think the 3 rolls won’t be enough? Or do I put a few in each section then skip down two rows?! Also do I tie pipe cleaner around the two wire rings in rows or just very top (single) rows. Hope I’ve explained it, sorry a little confused. Love this!!! Your wreath is beautiful. I truly appreciate you doing the tutorial. I will be making this in the future. Please don’t get discourage, I would love you to share other great ideas. Thank you again. Well done. This is awesome..working on it now. Can’t wait until it is finished. Your instructions are easy to follow. Thanks so much!! How many bags of pipe cleaners did you use?? I buy a jumbo bag. Dollar Tree has zip ties. Thanks again for sharing!! I love this! What a lovely wreath! Thank you for sharing this. I found it at Big Lots. Yes it does fray wish I would of known this before I did mine!!! When you cut down 21 inch it frays bad, I’ve never done so can’t really tell you if it will work,. I wish you luck. When I watched your instruction video it ended just as you started to decorate the snowman’s hat, where can I view the whole video? Never mind found it, thank you for sharing such a wonderful wreath! I love it. Where did you by the top hats? Better to fold the 21″, cutting it will give you another raw edge and will continue to fray. Found that out the hard way. If you check Trendy Tree website, they show you how to use the 21″ to make a ruffle wreath. I’m going to make him.. It looks easy enough.. love snowmen. Can I use a 6 inch and a 12 inch wreath ? I can’t find a 8 inch .. Thank you . Yes use whatever you can find! Yes, it had a sparkle, but at this point, if you can find any 10 inch I’d use it..
Spray face when done with glitter glue for shine before adding eyes/nose/mouth. never know the difference. I cannot find the deco mesh in 10″ size…only 20″ and then I end up having to cut it and it frays really bad, making a big mess. Any suggestions as to where to find the 10″ rolls? I”ve checked at Hobby Lobby, Michael’s and JoAnnes…no luck. Thank you. Love the snowman! I’m sorry, but because he went viral, it seems to be sold out everywhere. I wish I could help. I cant find the ten inch deco mesh anywhere can u use tule or something else? I couldn’t find 10″ deco mesh, but I was able to find 12″ iridescent white decomesh at Michaels. I am currently making the wreath right now (taking a break right now…lol) and the 12″ seems to be working pretty well. I just cant get it to stop fraying as I bunch it up. I use craftoutlet.com They still have the plain white, but the snowflake white is much prettier. I love the Snowman wreath! Thank you for sharing and the tutorial. I have no issues with it. Have purchased all of my supplies except the 10″ deco mesh. I can’t find it anywhere. Had my husband go 20 miles out of the way to a 2nd Hobby Lobby where they said they would hold 3 of the 10″ rolls. When he got there they were the 21″ rolls and they told him to have me cut them in half. I told him no, they would fray. Can’t find them online either. Suggestions?? Thanks! I used the 5 1/2 and it seems to be working great! With using the 5″ do you still cut 10 inch pieces? I love the wreath, I have to make 2 for my daughters, started one just having trouble with making the nose and doing the eyes, any chance of posting a way of getting the pattern for the eyes and nose to look like yours? Thanks! Could you please get in touch with me? I really want to chat with you about your amazing wreath. I have left you my e-mail address above. Thx so much. Joanne Martin. Hi Joanne, I can see no email left. Thank you so much. I’m all about doing crafty presents this year and this is so darn cute. Thank you for sharing. Have a wonderful holiday!! Is there a reason you start on the outside ring and not in the center? Wrapping from the outside in gives you better indication of exactly how much fill you have to do in the center of the wreath. I bulked up the outside and next row in, as Peggy illustrated, and by the time I got to the middle, I only had to add 4-5 pieces. Thank you so much for the demo, I can’t wait to make mine! Thanks so much for sharing this!!! I am not crafty at all, but have followed your instructions and am well on my way to finishing. Can’t wait to make a few for family and friends!!!! I was just wondering if I was to just buy the mesh fro the fabric store (off the bolt) about how many yards would I need? She said 3 10″×30′ rolls so you need 90 feet. That’s tulle not deco mesh. How do you keep the mesh from fraying apart? Do you recommend spraying adhesive on it before adding the eyes etc? As I’m putting mine together I find a need to keep trimming the treads that are “unweaving”. Thanks! Wow such a clever idea. My family would adore to have one of these to hang. Thanks for linking up with #CreateMakeShare. I see the material cost is around $25. How much do you sell them for? Grill designs, I can’t find the 8 inch frame at any craft store or nursery, do you know where else I could look? Maybe online? I’ve read that you can use foam tubing from home improvement stores in place of wreath forms, and that it’s puch cheaper. Just duct tape the ends together. Or you could use a pool noodle and cut it to size. Thank you for the great video. The only question I have is about how long is your nose template? I don’t sew, but did you make two pieces of your template and sew them together or did you make one and sew that? Do you have approximate dimensions for the template? Thank you so much. I just don’t want a nose that is too short. I watched the video for a third time and did see the dimensions. I’m so sorry to bother you. Thank you for sharing your creative snowman wreath idea and taking the time to re-create the video … I thought you explained it well and can’t wait to purchase the supplies and get started making one for myself – Happy Holidays and, again, thank you for sharing! Beautiful job. Thank you for sharing. As a SS it is hard to take classes when our funds are limited. Too bad others don’t appreciate your thoughtfulness in sharing your talents. . The video is AWESOME! I am a visual person and the video sure helped. I will be making this with my grandchildren.. I hope I will be able to find more of your ideas and projects.. Do you have a website?. You are soo welcome. I enjoy creating things. Love this Snowman Wreath. Thanks for the instructions. One question…do you finish the back of the wreath at all or are all the pipe cleaners left exposed? Thsnks so much for posting! I am NOT handy but definately have to try this…he is so cute. I am in the Midwest and cannot get the white deco mesh. It is white metallic…I think that should b ok…next…can only get the deco meshin 5.5 , all u DIY ‘s. ..should I cut it still in the 9 ,10 inches? Thanks for your input in advance!!! It it poly, yes what ever the size make your pieces 10 inches. I LOVE your wreath and your instructions are wonderful!!! Thank you so much for sharing your talent with us – I greatly appreciate it and can’t wait to make one!!! (When my family sees it – there may be more than one made!!!) Merry Christmas!!! How many pieces of mesh per section on the outside of the wreath did y’all do? 6? 10? 13? I’m having trouble finding 10′ mesh. I can find 21″ easily. Is it possible to use the 21′ and cut it in half lengthwise and get the same effect. The proble with cutting down 21 in is it frays very badly, have you tried to order online? Thank you so much for your step by step video. It was very informative, I am a show me person so that helps me a lot. Hope to make these for my family. I know they will love them. Where did you find the black hat? Please watch the video – all the answers are in there. Not everyone has Wi-Fi access to watch the video with. I got it at a Hobby Lobby where they have different hats not in the Xmas stuff. Where are you getting the 10in white deco mesh….I have been every where in S. California and can not get it. He is so stinkin’ cute! Thank you so much for the tutorial! I just love this wreath!! You did a great job making the video..you explained it step by step very clearly!! The question I have is have you ever added lights, the type that are very small. I have just use pipe cleaner to attach batteries to back. How many lights did you add to your wreath? And did you add it on as you are putting on the deco mesh or after you were done? I would like to thank you for taking the time to show us in your tutorial video you’ve made, also for your hubby (I’m assuming) that recorded it. You did a great job explaining everything, if only some people would watch and listen to what you say in the video they wouldn’t be so quick to jump at you or ask stupid questions that you’ve clearly explained already. Just because you didn’t say “attach the nose….” in a specific way alone, you did state that you hot glued the FACE on and I would imagine that includes the nose, after all it is a part of the FACE. SMH, some people…..anyway, I love this snowman and plan to make a few of them (one for myself of course). Would love to see some of your other projects that you make, your very talented. Happy Thanksgiving to you and your family!! How much total cost is in this? Do you have the nose and mouth patterns so we can print out? I’m Serra I free handed the nose and mouth, it cost about 25.00 to make. Where do you buy the hat? I WENT ON LINE TO HOBBY LOBBY. Thank you so much. I am so much a visual learner and your videos helped me very much. I am excited to attempt this. Thank you again. I love your snowman! Thank you sooo much for sharing your diy project with wonderful directions! I will be making one for myself asap! Could you tell me what size hat? and how many & what length pipe cleaners. Thank you so much I will definitely be making one of these for myself. You did a great job. Peggy, I’m in love with you wreath. Do you sell them? I love love this . Going out on Friday for supplies. Super cute. Gorgeous! Do you make these and sell? Price not a problem. Have arthritis in hands and can’t make one. Thank you for your time and have a Happy Holidays. It can even wait until after the holidays because I am sure that you are busy. Love it! Thank you so much, I will be making this for my home this Christmas. So thoughtful of you to do this video. Have a wonderful Thanksgiving day. I love love love this and have been scrambling around to find the 10″ deco mesh in white with no success. I bought 21 in thinking I could cut it in half but I see that it frays easily. I am still going to make it using the 21 in and see how it comes out. Thank you for the tutorial though. It was very helpful! Happy Thanksgiving and Merry Christmas! Did you use the 21″ Deco mesh. I could not find the 10″ either so bought the 21″ but now I am wondering if it going to be worth all the work to cut the 21″ or should I order the 10″ online and return the 21″ because of the fraying. Just curious? Thanks. I placed clear tape down the center of the 21″ mesh, then cut the mesh. It did not fray. Peggy, Thank you so much for Sharing this despite the nasty people!! I am so sorry for the ignorant slobs that were so harsh because they video cut off. I laughed that if they couldn’t figure it out they should be doing DIY. I’m going to attempt this and hang it in my classroom then take it home to enjoy over Christmas break. Happy Thanksgiving Peggy and a very Blessed Christmas to you and your family from someone who appreciates you in Colorado. I agree with you 100%! Thank you Peggy! TIP – if you lay all 3 rolls of mesh down together on a cutting mat, you can use a rotary cutter to cut all 3 layers at once. Saves a ton of time and also helps you make straight & exact cuts. Love this wreath. Can’t wait to go out and buy what’s need to make this! I can’t wait to make him this weekend….Glad I got to see the whole video….didn’t want to make any mistakes….Thank you Peggy…. I too LOVE snowmen! I normally don’t particular care for wreaths made with the mesh, but I SO LOVE YOUR SNOWMAN! And was so excited you did a video tutorial as I didn’t understand the scrunching of the mesh between the fingers, I do now. Amazing, I can’t wait to make my very own. Awesome will certainly be making this snowman. Just awesome! Thank you for this idea and this video! I think you did great!! Absolutely adorable! Thank you for sharing! I know you said to start on the outer part of the wreath form and then come 2 down. Whar number of the wreath form is after the second down from the outer? Thank you and what an awesome job you have done. Just keep moving toward center. At is point your only filling in. To make center full. Loved the wreath and great video. Very easy to understand. Thank you so much. Will make great old fashioned Christmas gifts. Thank you for sharing this wreath with us and for taking the time to do the videos. I do need clarification about one thing, not because you didn’t say, but because I want to be sure I understood correctly. After completing the first, outer row of deco mesh, you said to go 2 rings for the next row of mesh. Are we to skip 2 rings and begin next row of mesh on 3rd ring? or skip 1 row and begin new row of mesh on 2nd ring from previous row? Skip to 3r row. It really doesn’t matter , just fill in to make him full. Have fun!! I thousands of course’s with tool in them. The easiest way to cut tooL cut yourself a piece of cardboard. Then wrap it many many times with the tool cut off each side and they’re all done it all done. do it again wrap it cut off each side and you’ve got more tool all done that way you don’t have to guesstimate waste your time or anything. It’s so much easier this way just keep rappin cutting and wrapping and cutting and they’ll be all done in a minute or two. I have don that before. But thank you. This is a wonderful idea! Thank you for sharing!! Would you ever think of making and selling them? I would buy one for sure. Being disable it’s hard to go to the store to get the supplies I would need. Thanks for doing the videos. it helps me to see how to do the steps. I love the snowman. I collect them and I plan to have mine made by the time the collection comes out in January. You have inspired me. My imagination is dreaming up lots of variations for more holidays. I see a witch in my future. THANK YOU for sharing. this is a perfect craft to do for thanksgiving. Thanks for sharing ! Absolutely love him! Awesome tutorial! You made it look so easy that I might just have to try it! Thank you for sharing! About how much does it cost to make? Thank you so much! The second video ends before completion. How do you attach the hat and carrot? Mine played all the way though. Thank you this is really adorable. Where do you do these classes???? Hobby lobby and in home. Southern Ca! 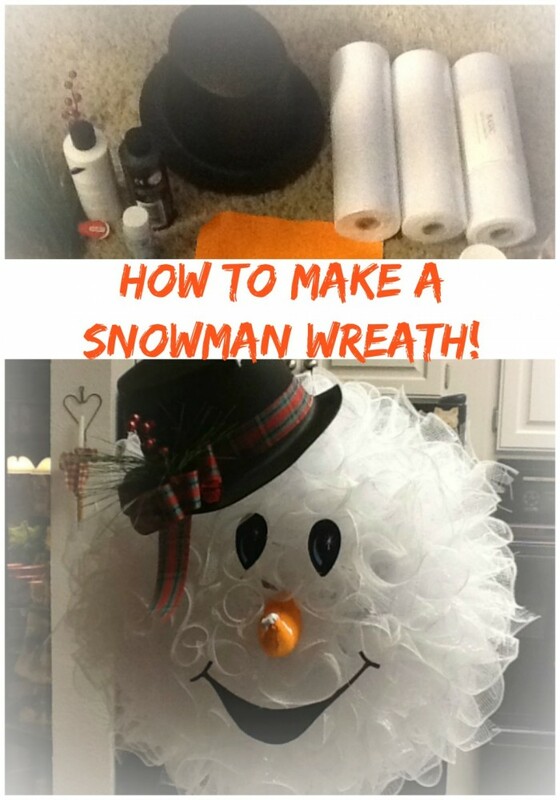 Love this this snowman wreath I am going to try to make him! We don’t have a hobby store though just hope I can find a hat, what does everyone think of a girly type hat? I love the idea of a girly hat, it will just be a Mrs.. Frosty the snowman, lol. Post pics. when you finish if you don’t mind. Oh and maybe you can try going to a goodwill or Salvation Army store to find a similar hat. This is the cutest thing ever! I’m hoping from your instructions, video, and your follow up answers I can replicate your work. Thanks so much for sharing! Hobby lobby, here I come. Thank you Peggt. Your snowman is precious! Plz don’t stop sharing. Happy Zthanksgiving. Thanks for your video. I have everything except the hat. Going to start cutting now! I love the snowman, he’s going to match my snowman dishes. Thanks again! Adorable snowman wreath! Such a clever idea! Thank you so much for sharing it! The video stops way too soon. Is there more of it somewhere? So I am ready to try this but how does the middle fill in ? It really does trust me. Beautiful wreath but the video cuts off, how do I see the rest of it to finish the wreath? I’ve scrolled through most of the comments and I’m not seeing anything ride unless it’s already been deleted. As I watched the video it was also cut off at the pipe cleaner point. These women also said please and thank you as well as complimenting the wreath. It’s adorable. But they were only asking for to see the continuation of it. It’s too cute, we all love it, some of us aren’t crafty enough to know how to finish it ourselves. The video explains everything. If people would actually listen while they watched they would know what to do. Also people may have said please and thank you but it is still rude too point out things that “might” not have been in the video. Which by the way she didn’t have to do. She could have charged to send instructions. People need to use their brains and figure out somethings on their own. By you posting this comment shows that you belong in the rude category “i scrolled through and haven’t seen anything rude” who are you to judge what people might get offended by? Your post should be deleted. Thank you Peggy for posting the making of this beautiful wreath and i will be making one with my mother as a project to do together! The video stops after you gather the first piece of mesh. Do you have a part 2 video. Would love to see how to make it. Thanks! Thank you for sharing! 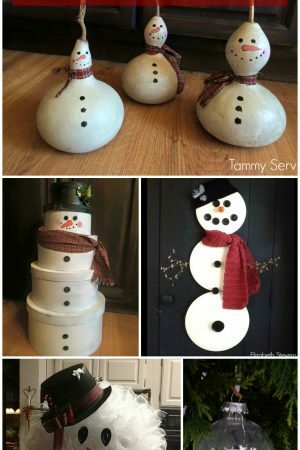 The snowman is super cute and I have lots of leftover white mesh from my sisters wedding – I kept wondering what I could do with it and waalaa I see your post!! Have a Blessed Thanksgiving! Would like to have seen how you attached the netting to the form. Nancy, were you able to see how it was all put together? I think people have questions because the video quit and did not show all of the steps. Does anyone know if there is a complete video? The video cut off for me right after you gathered the first square and put the pipe cleaner on it. Thank you so much for sharing your talent with us. I love the Snowman and look forward to trying to make one. Happy Thanksgiving to you and your family. I need to know where I can get a snowman hat ? How do I attach each piece to the wire wreath? I love this cute snowman, I hope I can make it as well as you did!! THANKS!! I love it can wait to try it out! Thank you for the video. Thank you for writing this. I was thinking the same thing. There are some really dumb questions on here! For everyone that has liked this little guy Thank you, that’s what this wonderful site is for. Have a blessed Thanksgiving week! Hi Anita, I bought everything at Hobby Lobby. I hope you can find everything you need. Thank you Peggy! And thanks so much for taking the time out to share him with us! This guy is super cute, I wished your video was longer!!!!! Peggy Bond….your snowman wreath is really cute and I’d love to be able to see the directions but the video stops shortly after 2 minutes. Do you have another link for FULL instructions? I am so excited to make one of these!! 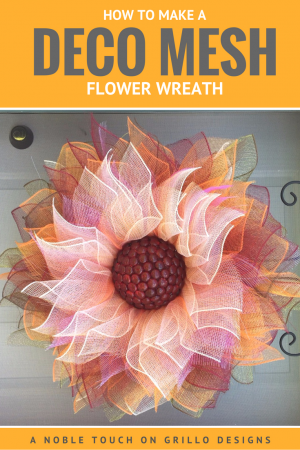 Do you have a follow up video on attaching everything to the wreath frame? Peggy, your snowman wreath and instructions are perfect. Thanks so much for sharing, and I hope you will continue to share with us! The video was cut short. would really like to see you do this one. Love this, but in the video, you do state the size wreaths you used 12in and 8 in. Not sure why people are asking for the size. Please don’t get discouraged, I love it and appreciate your free ideas. Peggy, don’t let people get you down!!!!! They just have no life!!! Thank you soooooo much for posting this cute project! My friend and I are going to do it together!!!! Just love the mid wreath. I know that the deco messy can make a small wreath form into a giant wreath. You just never say what two sizes of the wire wreath you used. Otherwise, very clear. When attaching the mesh to the wire rings, which rings did you attach the mesh to? I would not think you would attach it to every single ring. They gave classes that teach you to make wreaths, the cost is around 40 dollars, maybe you can look around and find one. I purchased a 12″ wreath frame and then the smaller one is that correct?? I’m sorry but I can’t make video or pictures right noe. I m not making another at this time. Love the Snowman! Gotta make one. AWESOME instructions. Thanks for posting! This is so cool, but instructions are not quite detailed enough. Any chance you could post a short video? What size metal frames did you use? Both the same? Step by step pics would be awesome for dummies like me! Are the wreath forms the metal or stryofoam? I know you’ve had a million questions. Sorry but did you buy hat or make it? If bought, where? That’s the only thing that has me stumped. Really cool idea. You should be proud. Sorry but maybe you need to explain how to fix around rim. Also show some of the ways you did it. Attach mesh to metal wreath frame with pipcleaner. The hat was bought at HobbyLobby. Cut in half. Thanks for the extra information! I am excited to make this wreath for this holiday season, and also wondered how to attach it. Super cute wreath! would love to subscribe to a YouTube channel with more tutorials! Thank you! Greatly appreciated!!! “Thank You Peggy” LOVE LOVE LOVE the WREATH!!!! I guess you don’t know how to read then, because it clearly states that you use the pipe cleaners that are used to gather the mesh, to also attach it to the wire wreath. She also states that she starts from the outside and works her way in…and in case you missed it like others have, she attached the hat and face with HOT GLUE!!!! I really don’t understand the hostility towards this woman who has taken time out of her life to post a great craft project, and all people seem to do is complain and act rude. Maybe next time try asking the question politely and oh I don’t know maybe thank her for even posting this. Could be why she didn’t respond to your question. Nicely put Rosemarie!!! It’s a DIY CRAFT idea NOT a cure for world peace. (By peoples comments that’s obvious) Good Heavens!!!! Its attitudes like that, that are creating the upheaval in our world.